Last summer at the Newport Folk Festival, I passed a particular booth several times a day. Directly on the water AND on the way to the restrooms (read: double row of port-a-potties), these guy had a prime spot and an eye-catching sign. I kept stealing glances at the Earth and Iron each time I walked– the textures of grass, wood, and nails caught my eye every time. Finally I stopped and spoke to the guys who ran the booth. They were so friendly as they showed me their goods. Did I need a large chalkboard or an axe with a beautiful handle or a large keyholder rack? No, but between the beauty of the sign and the niceness of the guys, I knew I was hooked. 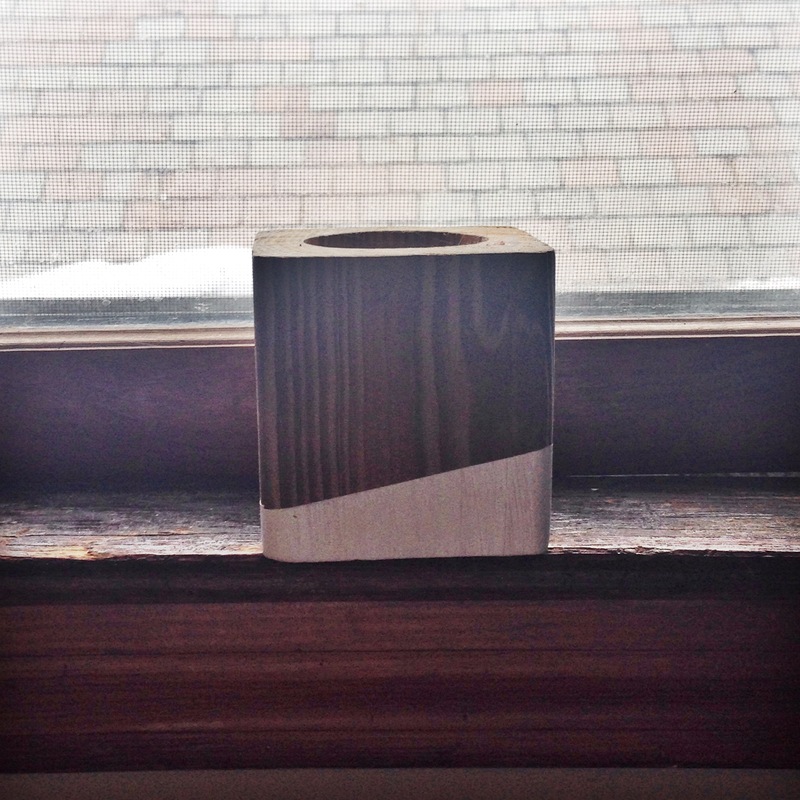 I ended up choosing a small wooden….receptacle? They ended up painting one for me, because I like the asymmetric design on some of their pieces. I picked it up a few hours later, when the paint was dry, and walked away thinking, now what? I generally keep a small tea light in it and though it was a totally unnecessary purchase, it does make me smile to see it. 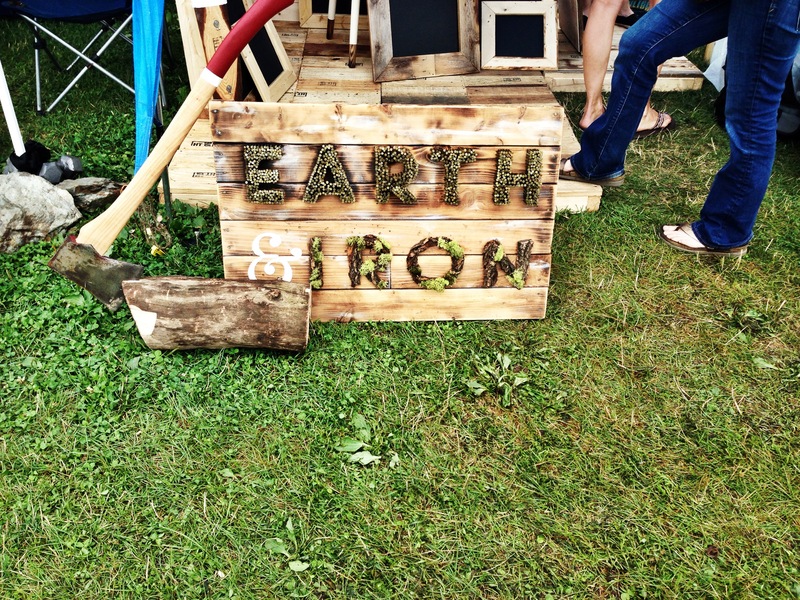 I hope to see the Earth and Iron guys at the Folk Fest this summer, and who knows what will happen. Maybe I’ll make an offer on the sign.